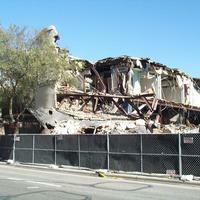 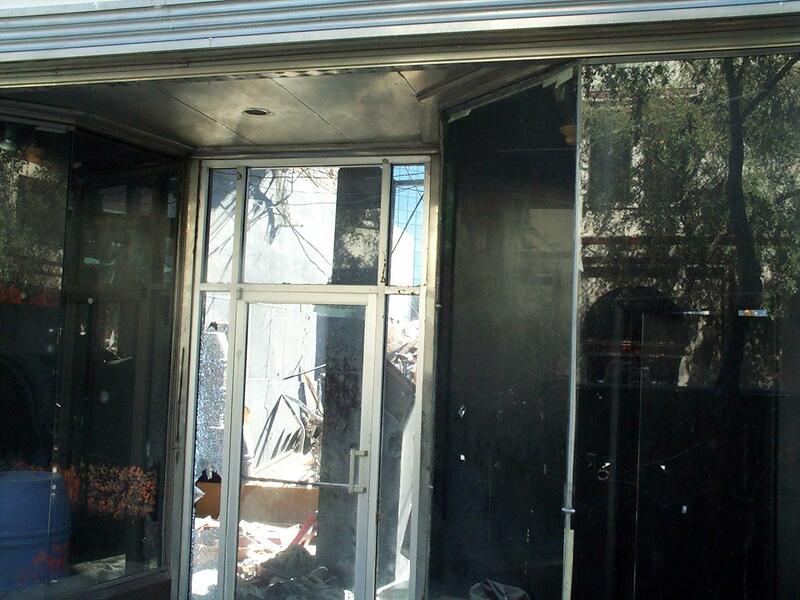 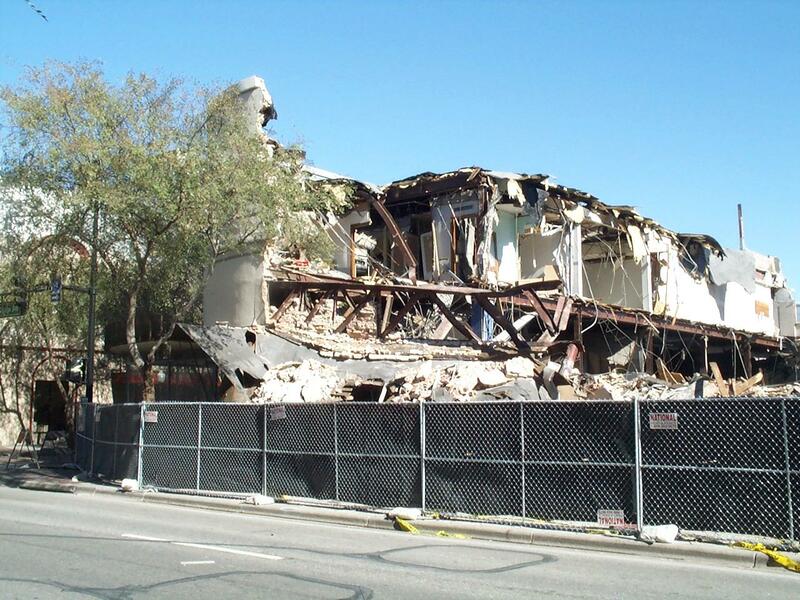 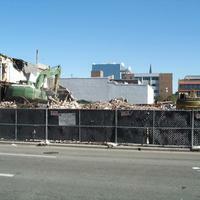 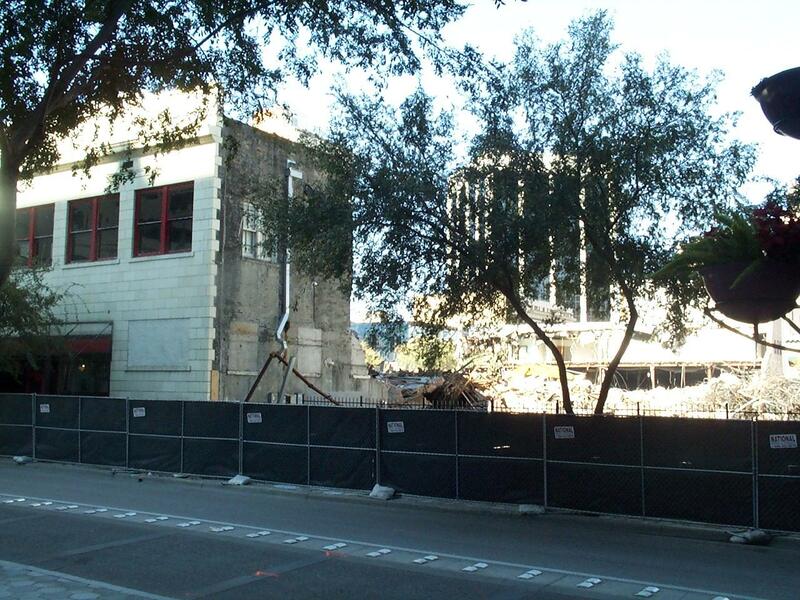 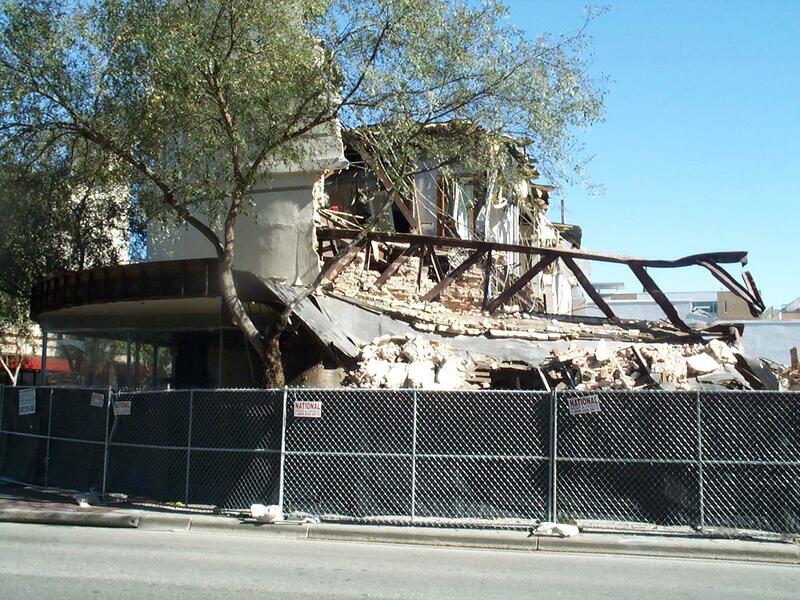 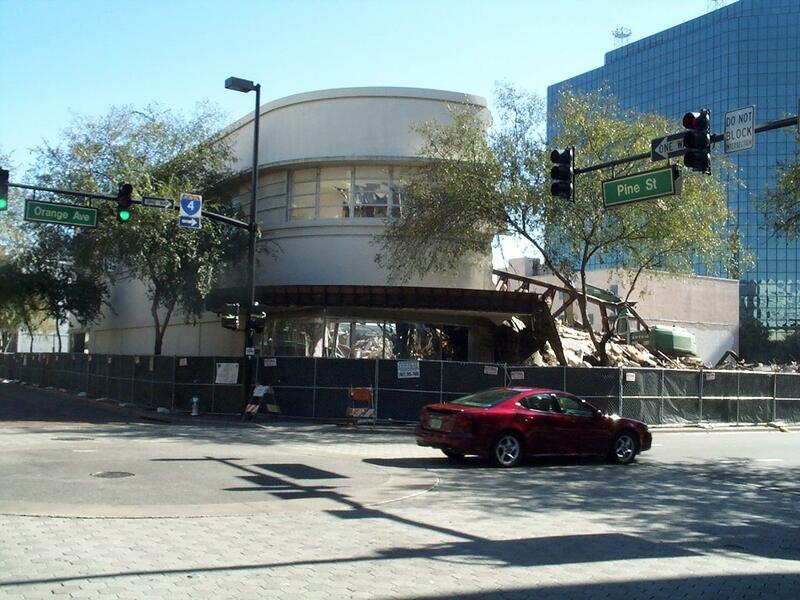 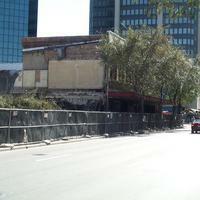 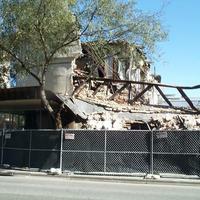 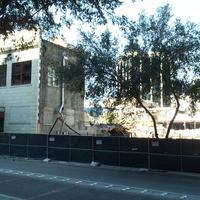 Woolworth-McCrory Building, located at 101 South Orange Avenue in Downtown Orlando, Florida, during demolition in 2003. 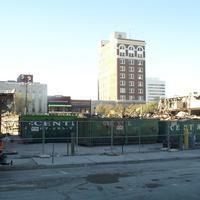 Woolworth's was a retail company established by Frank Winfield Woolworth in 1879. 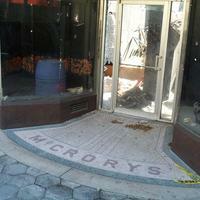 McCrory's was a chain of five-and-dime stores established by John Graham McCrorey in 1882. 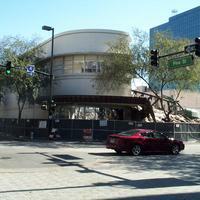 The Art Moderne-style structure in Downtown Orlando, with parts from an 1888 building, was constructed in 1942 by the J. G. Stores Corporation. 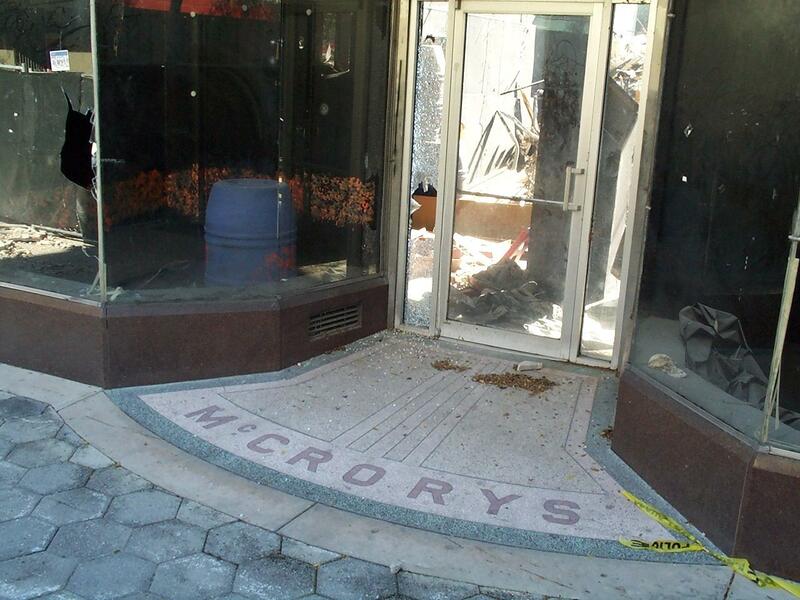 McCrory operated its store and headquarters at this location until 1989. 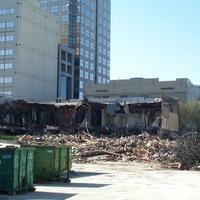 In 2003, the building was demolished. 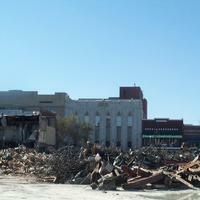 Logsdon, Donna G. "McCrory's Must Exit Downtown." 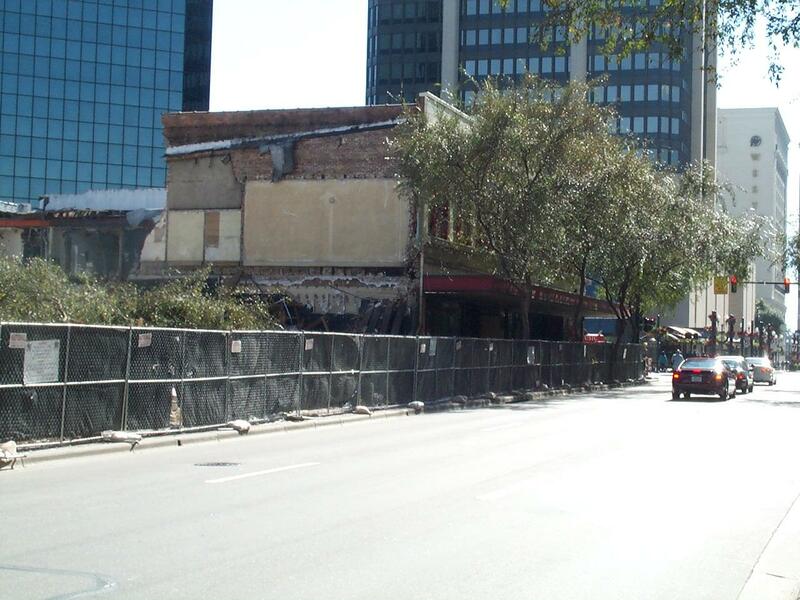 Orlando Sentinel, August 17, 1989. http://articles.orlandosentinel.com/1989-08-17/business/8908172200_1_woolworth-downtown-orlando-mccrory. 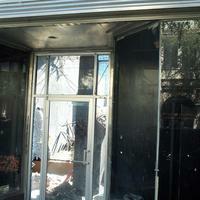 Cook, Thomas. 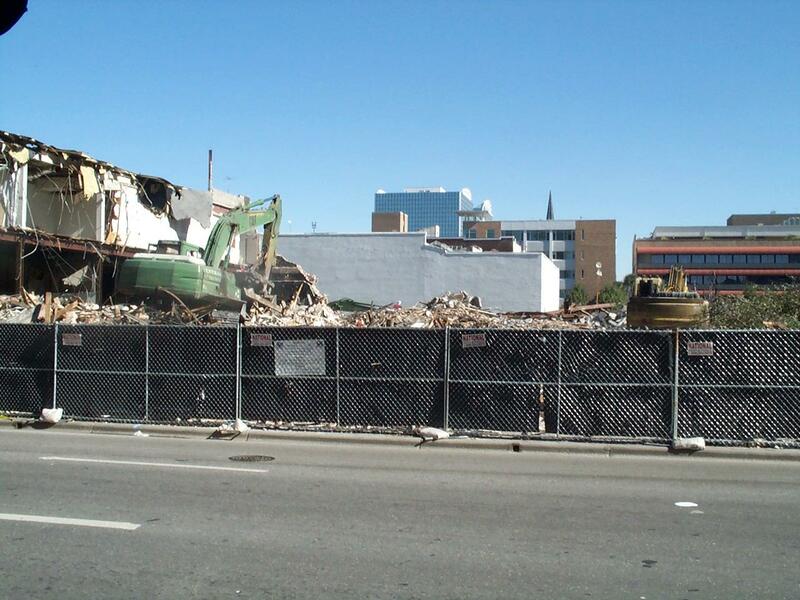 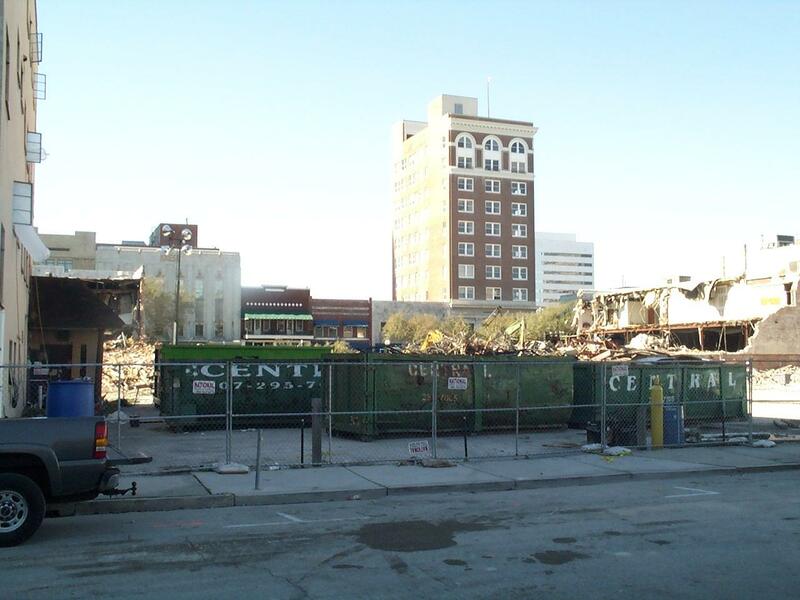 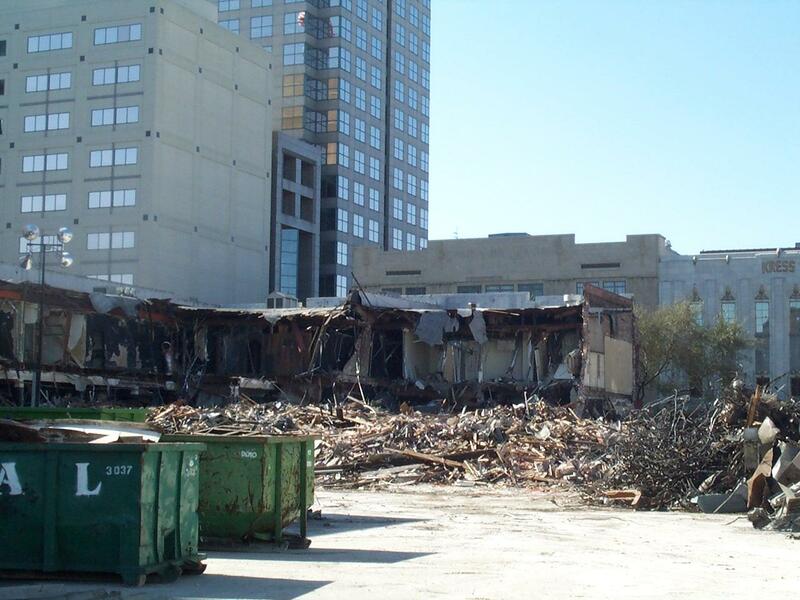 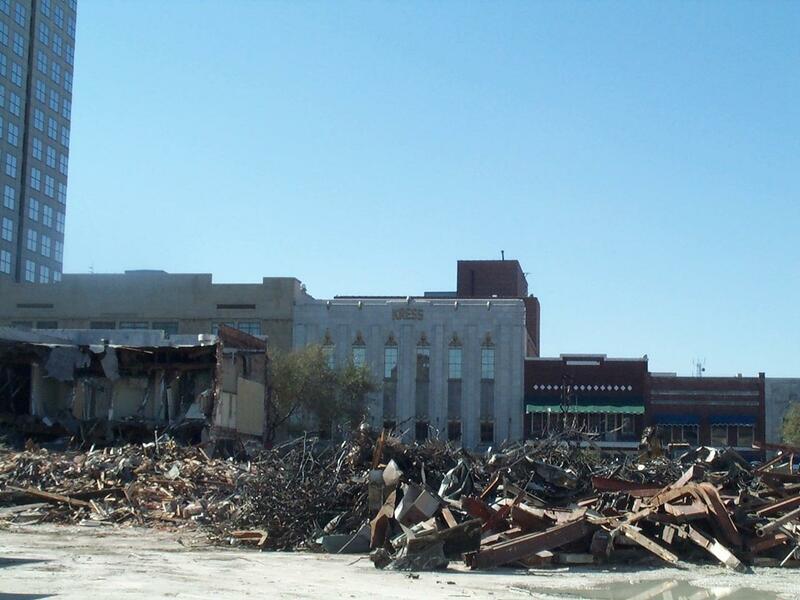 “Demolition of Woolworth-McCrory Building, 2003.” RICHES of Central Florida accessed April 21, 2019, https://richesmi.cah.ucf.edu/omeka/items/show/1724.